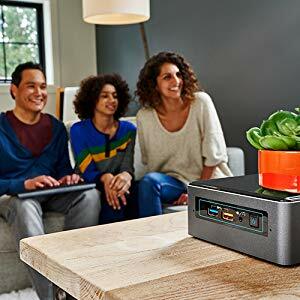 Intel NUC BNH (Tall Model) Mini PC/HTPC 7th Gen Intel Processor, 4k Support, Dual Monitor Ready, Windows 10 Professional (Choose Processor, Ram, and Storage) - NWCA Inc. This computer has been upgraded from the original manufacturer specifications by our professional technicians. 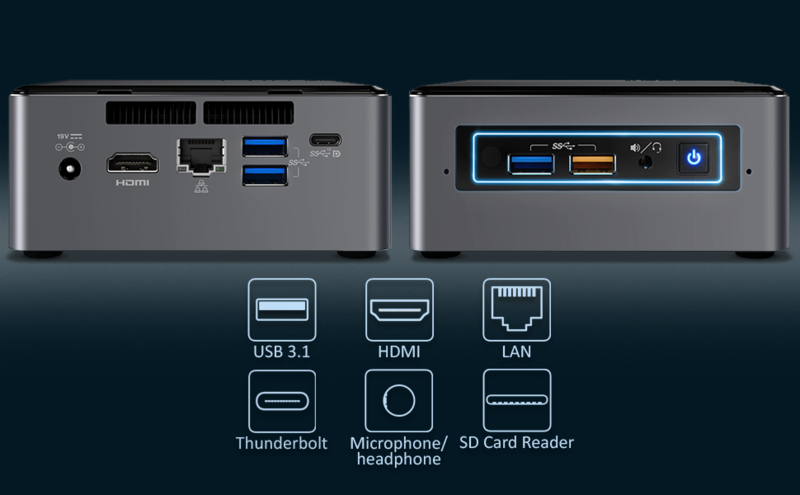 Multiple Display Inputs give you the freedom you need to connect up to three displays through HDMI or Thunderbolt 3. Equipped with Windows 10 which features Cortana, the personal assistant who can open apps and answer questions on command. Multitasking in a Small Package. 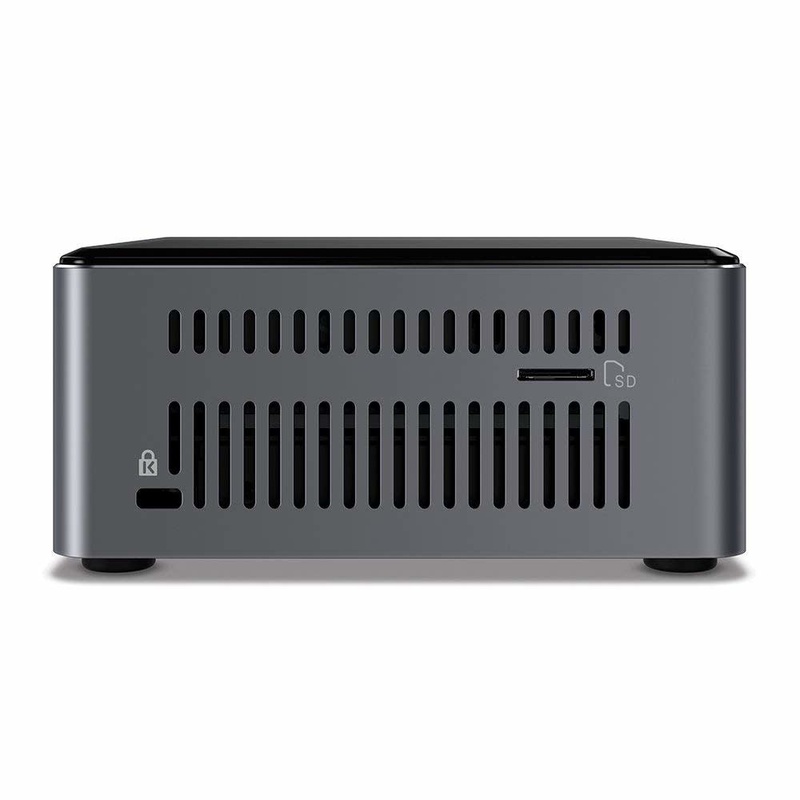 A sleek redesign and powerful components ensure that NUC fits right in at your business, home, or digital signage solution. 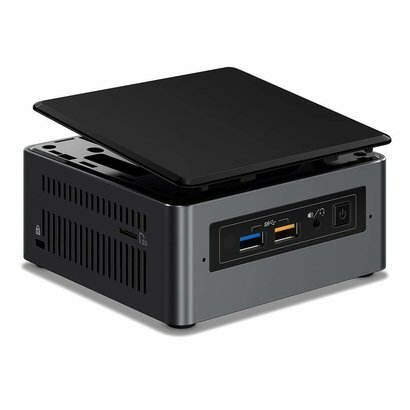 You can check the Intel NUC Multiple Display How-To Wizard on the Intel website for more information on this type of configuration. 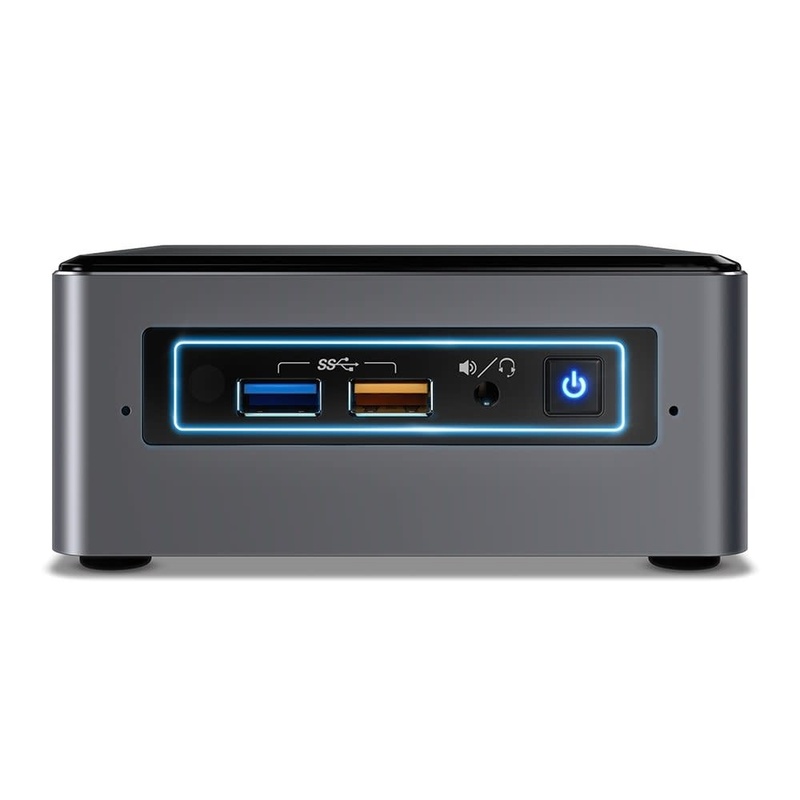 Get spectacular responsiveness that goes virtually anywhere with an Intel NUC Mini PC. 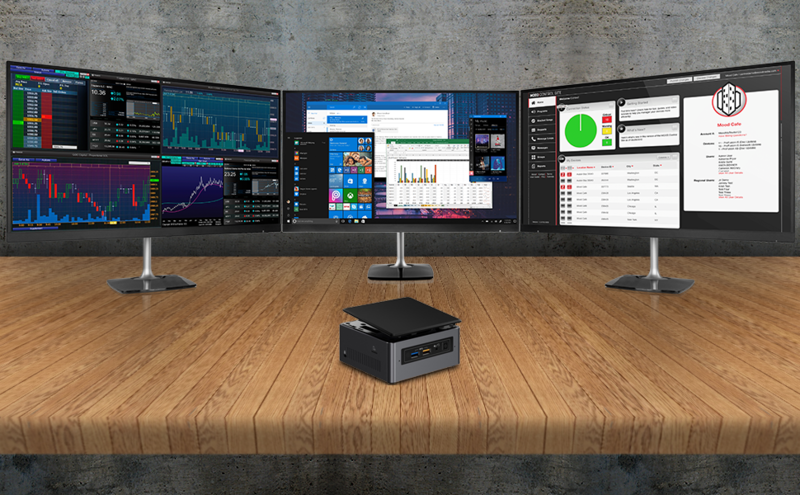 With a 7th generation Intel Core processor inside, the Intel NUC7 BNH Mini PC delivers the latest features — in a size that fits any lifestyle. 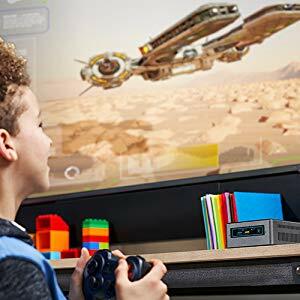 Enjoy great visual immersion with Intel Integrated Graphics and support for triple displays all in 1080p FHD. 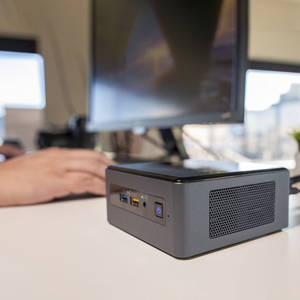 Other connectivity options include Thunderbolt, HDMI and DisplayPort via USB-C.
All the benefits of a desktop in an ultra-small package. Keep your desk clear and stay focused on what you're doing. 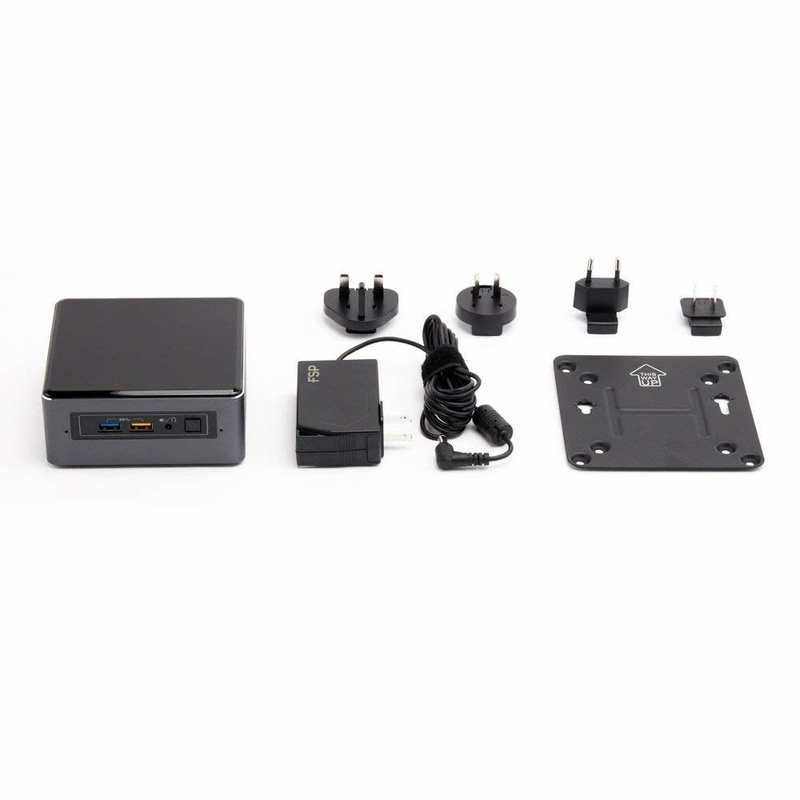 The included VESA mounting bracket allows you to attach the NUC to the back of a monitor or television. Included screws and standoffs allow for future upgrades. Plenty of connection options will keep you moving quickly throughout your day. Transfer images, music, and documents from your camera or phone at high speeds with the built-in MicroSD card reader. 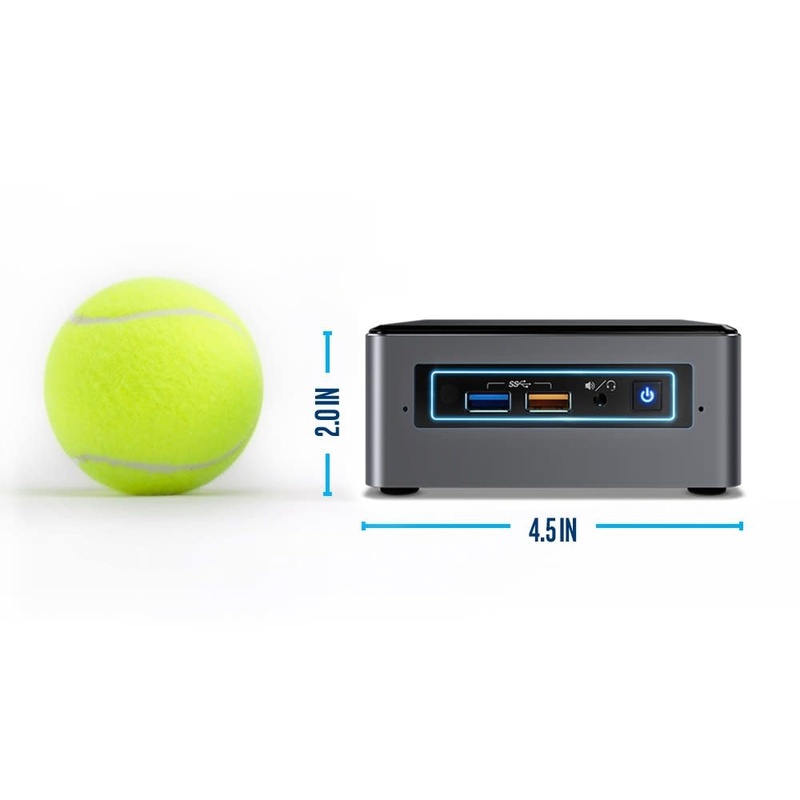 Connect directly to your router with the LAN port to enjoy the fastest possible speeds. 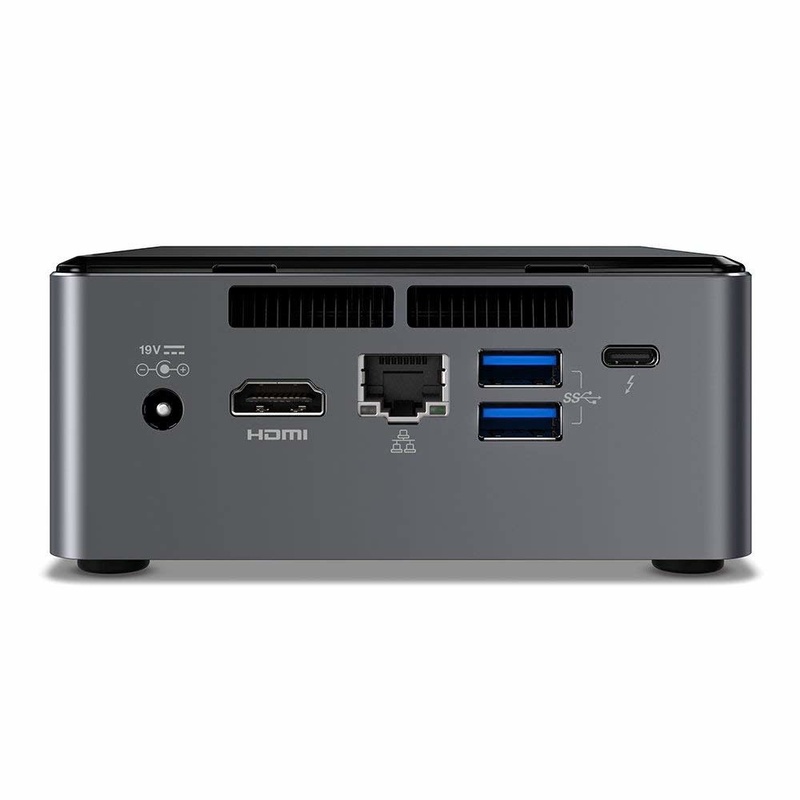 Connect up to 3 displays through HDMI or Thunderbolt. A powerful low draw processor from the Kaby Lake mobile series.